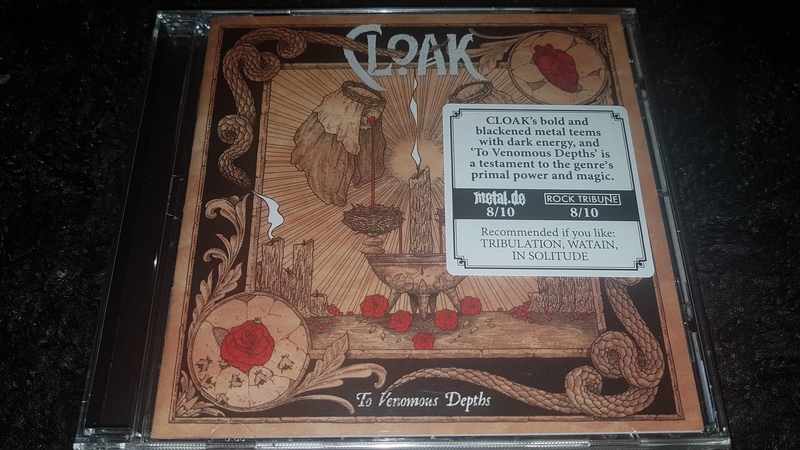 CLOAK captures the magic, mystique, and mystery of classic heavy metal with their long-awaited debut 'To Venomous Depths'. Drawing from metal's most impactful sub genre's, the quartet distill their collective influences into an enthralling full-album experience that honors the spirit of the early classics while standing firmly in the now. Captivating tracks like "Beyond the Veil", "Deep Red", "Forever Burned" and the title track are riveted with somber harmonies, driving rhythms, and dramatic builds in momentum and suspense. CLOAK's bold and blackened metal teems with dark energy, and 'To Venomous Depths' is a testament to the genre’s primal power and magic.